COLUMBIA, SC--(Marketwired - February 18, 2016) - Cross country runner Ellerbe Kinard was a young girl in March, 2005 when her father, US Army Corporal Hamilton Douglas Kinard, sustained severe injuries in an IED attack in Iraq. 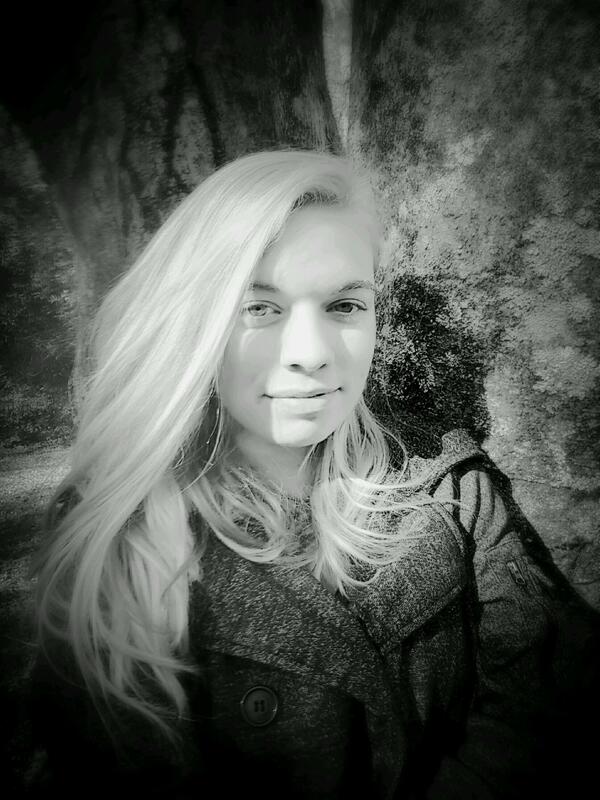 This April 22-24, 16-year-old Ellerbe will be joining her father in riding national non-profit World T.E.A.M. Sports' Face of America from Arlington, Virginia to the historic battlefields of Gettysburg, Pennsylvania. The annual bicycle and hand cycle ride brings together and honors injured service members, active-duty military and civilians for a 110-mile, two day journey beginning at the Pentagon. Participating injured veterans include members from all service branches, as well as veterans from Canada and Western Europe. "I struggled to understand why my dad left," Ellerbe explained. "I struggled more when I didn't understand him when he returned, and as I got older." 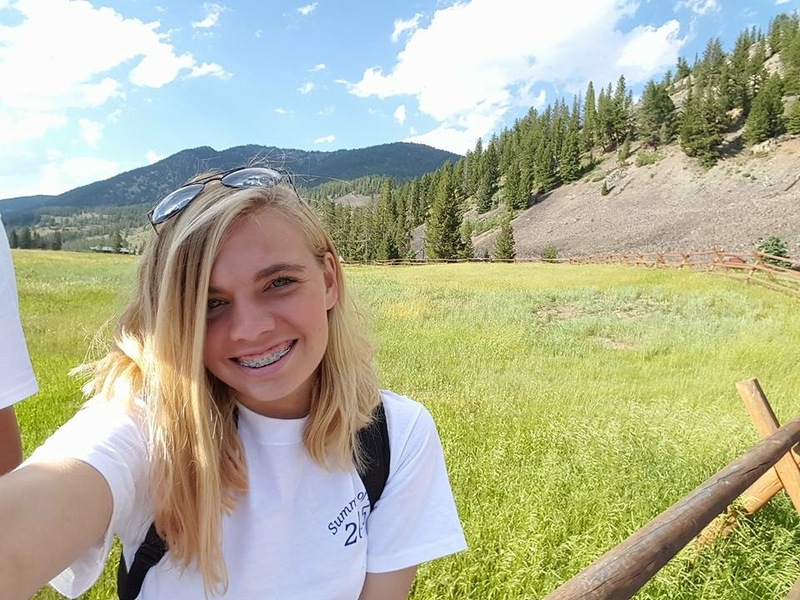 Her father, who lives with Traumatic Brain Injury, Post-Traumatic Stress, short-term memory loss and hearing loss from the attack, encouraged his daughter to take on the challenge of a long bicycle ride with him. He suggested the Face of America, which would allow her to meet and ride alongside many veterans who are living daily with their own medical challenges. Needing to successfully accomplish a school service project, Ellerbe saw her participation in World T.E.A.M. Sports' annual ride as a key component. "I wanted to find a way to give back more than just a 'school requirement.' I wanted to give back in a way that I could personally connect to everyone involved." 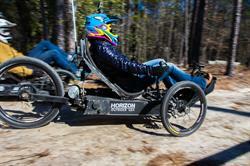 Ellerbe contacted North Carolina electric adventure vehicle manufacturer Outrider USA to propose sponsoring her at the Face of America. Interested in reaching disabled athletes who are unable to pedal bicycles or use hand cycles, Outrider USA's marketing team responded quickly. Ellerbe reported, "They have been more than supportive to me and helping me achieve my dreams." Outrider USA's Director of Marketing, Communications and Events Nicole Holder indicated that reaching out to athletes with disabilities is a part of their plan. "The beauty of our machines is that we have developed a host of configurations to fit the needs of individuals with various physical disabilities," she said. "We have the option for foot pedals, ATV (all-electric), electric hand cycle, tri-pin adaptive hand controls, single sided controls, a rising seat etc." Outrider USA is providing both Kinard family members with new Alpha road models with foot pedals for use at Face of America. In addition to benefiting World T.E.A.M. Sports through her fundraising, Ellerbe is also seeking to support Georgia's non-profit SD Gunner Fund. Created by Britnee Kinard, Corporal Kinard's wife and caregiver, the fund provides financial assistance and guidance for veterans and disabled children who need service animals. "Since the majority of service dogs are not approved by the VA, many veterans have a hard time affording veterinary care, emergency care, pet food, etc.," explained Ellerbe. "That is where SD Gunner Fund comes in. They provide financial assistance to anyone -- disabled veteran or disabled child -- with a service dog. They cover everything from veterinary care, harnesses, emergency care, food, etc." Through her participation in the Face of America, Ellerbe seeks to inspire teens and young adults. "You can do small local projects, but you can also swing for the fences and do something big like this! You won't fail -- you just have to try!" She also will honor the sacrifices of military veterans, including family members. "I am riding in honor of my father, a South Carolina US Army Purple Heart Veteran who suffers from PTSD and TBI; my uncle, a South Carolina US Army active duty JAG officer; and my grandfather, a South Carolina USMC Vietnam Disabled Veteran." National non-profit World T.E.A.M. Sports' annual Face of America bicycle, recumbent bike and hand cycle ride to the historic battlefields of Gettysburg, Pennsylvania is anticipated to include more than 600 riders in 2016. Of these participants, 160 disabled military veterans will ride alongside the able-bodied civilians, veterans and active-duty military. The April 22-24 ride presented by Capital One Bank will include two 110-mile, two-day routes from the Pentagon in Arlington, Virginia and from historic Valley Forge, Pennsylvania. The Face of America is supported through sponsorship from American Portfolios Financial Services, Booz Allen Hamilton, Benson Botsford LLC, Brioni, Devens Recycling Center, Freshbikes, Penske Truck Rental, Sila Solutions Group, SUBWAY of the Walter Reed National Military Medical Center, Three Wire Systems, Vedder Price, and Veterans Corps of America. Additional sponsorship support is forthcoming. World T.E.A.M. Sports is a 501(c)(3) not-for-profit organization chartered in North Carolina and headquartered in Holbrook, New York. Since its founding in 1993, World T.E.A.M. Sports has organized athletic events for disabled and able bodied citizens -- mountain climbing, white water rafting, biking, and more. Four things always happen at our events: (1) Disabled participants build self-confidence and physical fitness; (2) The disabled provide a role model for other disabled citizens, encouraging them to take up physical activities; (3) The disabled become a moving inspiration to other participants and to spectators when they see that disabled individuals can meet challenges beyond anyone's imagination; and (4) The disabled and able-bodied participants learn to work as a team to overcome those challenges. World T.E.A.M. Sports changes lives through sports. 16-year-old Ellerbe Kinard is hopeful her participation in Face of America will inspire other teens and young adults to undertake community service. Photograph courtesy Hamilton Kinard. 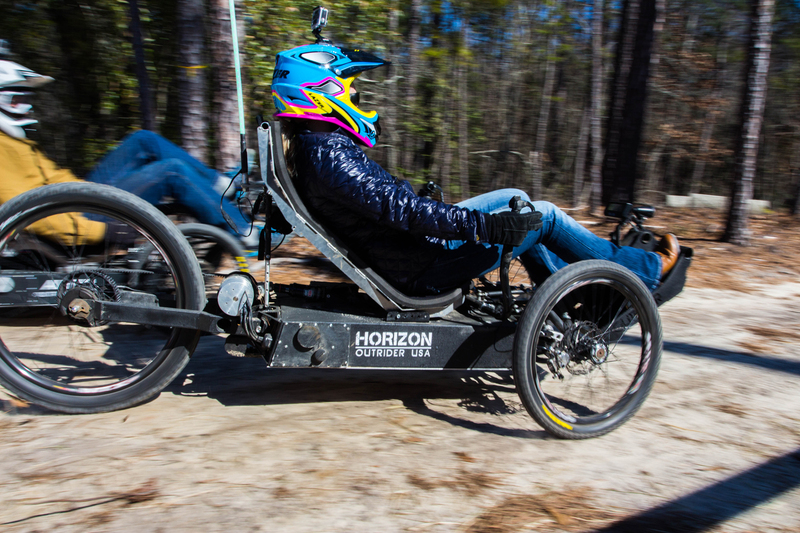 Ellerbe Kinard test riding a Horizon Outrider USA electric adventure vehicle on February 13, 2016. Photograph courtesy Outrider USA. 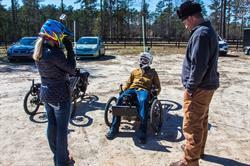 Ellerbe Kinard (left) talks with an injured veteran on an Outrider USA electric adventure vehicle at the Big Red Barn Retreat in Blythewood, South Carolina February 13. Photograph courtesy Outrider USA. Ellerbe Kinard of Columbia, South Carolina. Photograph courtesy Hamilton Kinard.